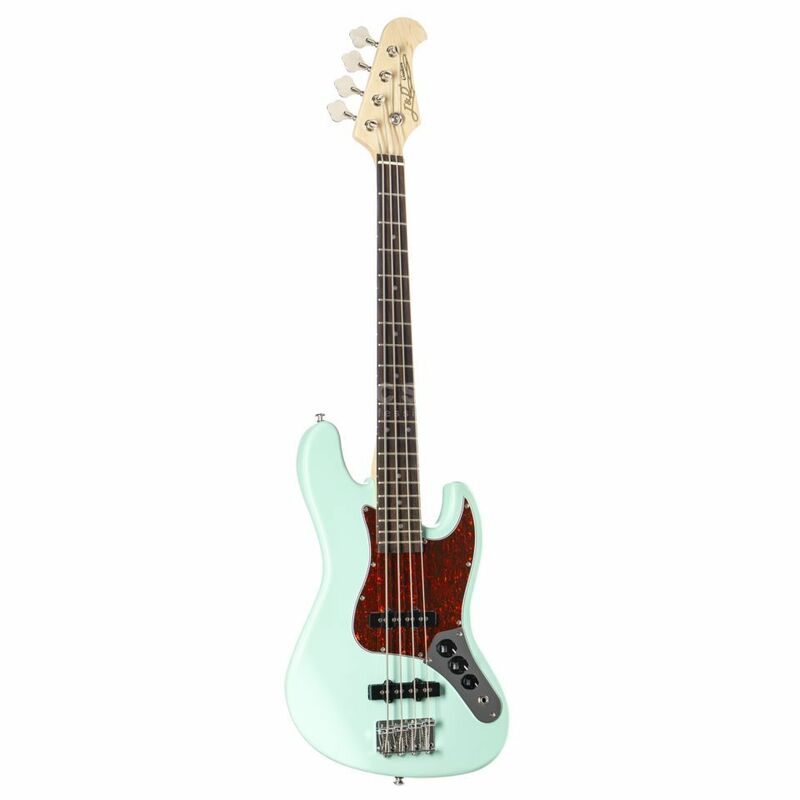 The J&D JB Mini 4-String Mini Bass Guitar in Surf Green takes inspiration from the popular Fender Jazz basses and comes in a more size friendly package. Not only a great starting ground for young beginners of bass, but also a practical solution to intermediate bass players that want to travel without the constraints of a full sized instrument. Built to high standards from a solid Alder body and a maple neck, the onboard 2 single coil pickups help to deliver a tone that punches above its weight and of course size! Great bass for beginners, or as a side instrument for a guitar player. My main bass is a Fender Jazz Bass, but I needed an affordable small bass for travelling. I have had a few basses, but this one really came out as a great surprise. Light weight, of course, and very well crafted.